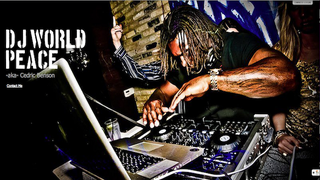 Cedric Benson's been on the Packers' injured reserve list with a foot injury since early October, but he's been staying busy during his recovery by moonlighting as a DJ around Austin, Texas. Using the moniker DJ World Peace, Benson's appeared at a few clubs around Austin in the past month. According to DJ World Peace's Facebook page, he last spun at The Madison on Nov. 11. Below is a flyer for a show he did on Nov. 6 at the Yellow Rose, a gentlemen's club in the city. Although Benson is eligible to leave IR in Week 14, he might still need season-ending surgery. If that's the case, Benson should have plenty of time to keep slinging hot tracks in Austin. For now, though, he doesn't have anymore shows planned at the Yellow Rose. We called to check.